Jane wanted to wear the same "costume" as last year. It was pink sweat pants with a pink jacket that had a cat face on it. Not really a costume but she sure loved it! Unfortunately she had grown out of it. Jane was crushed. So we went to Walmart to see what we could find. We first went to see if there were any cat costumes still available. 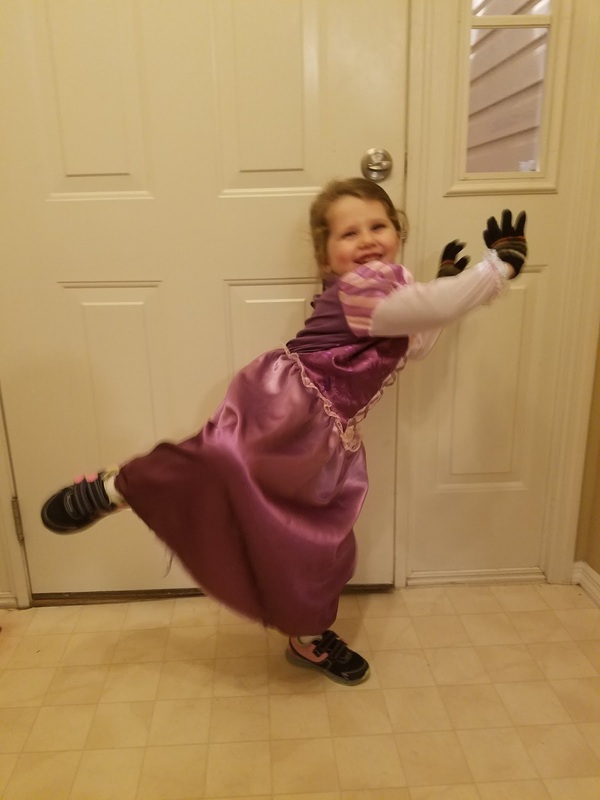 There weren't and I was starting to dread the idea of making two costumes, when we turned down an isle of princess costumes and Jane exclaimed that she wanted to be Rapunzel for Halloween. Done. 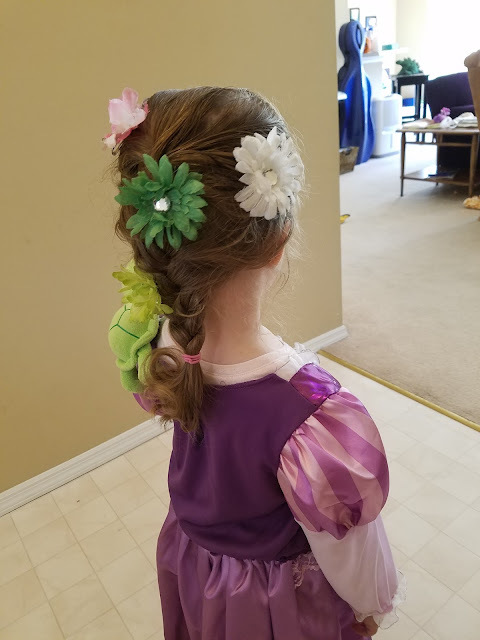 One french braid with flowers, dress and she was Rapunzel. 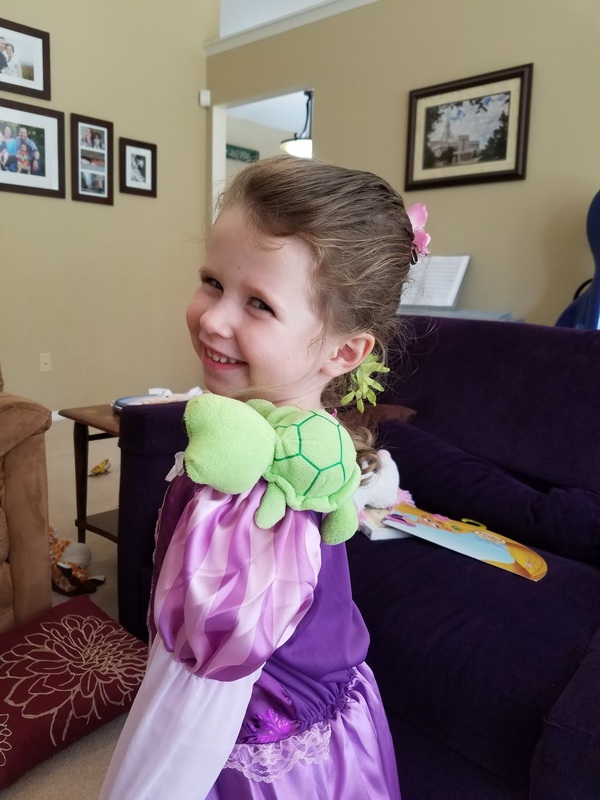 The turtle is subbing for Pascal, her chameleon. I was pretty proud of my french braiding skills. Armed with a photo of a Mexican Red-kneed Trantula and materials to make one, I spent the next several evenings watching shows and sewing (I don't have a sewing machine so it was done by hand). It was a labor of love but seeing his face light up when he saw it made it all worth while. 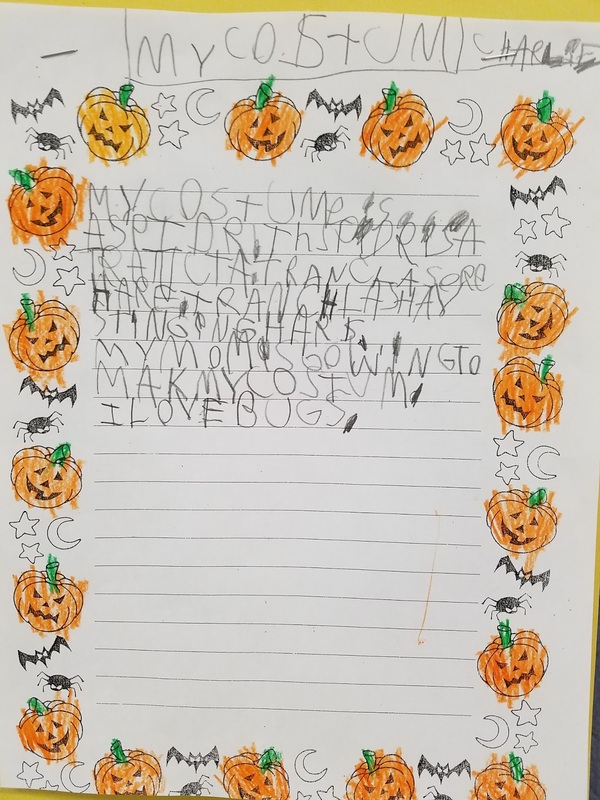 One day Charlie's class wrote what they were each going to be for Halloween. 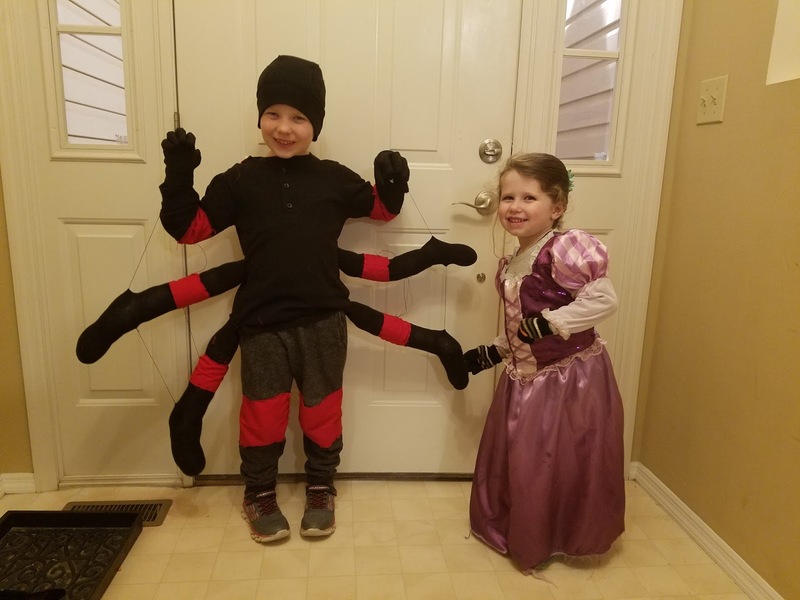 In case you are rusty on your "reading 6-year old writing without spaces"skills, here is a translation: "My costume is a spider. 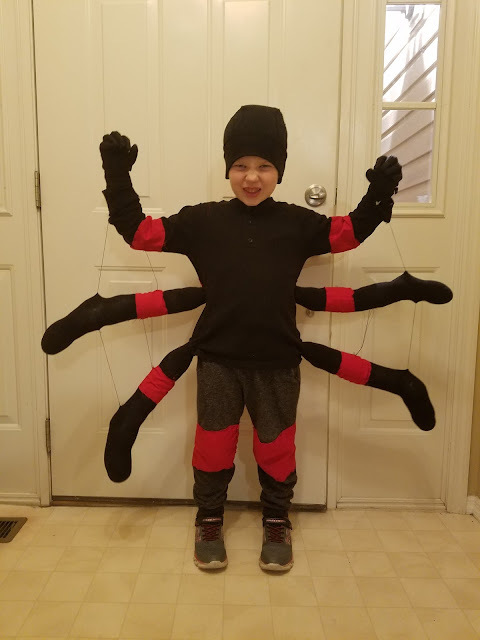 The spider is a tarantula. Tarantulas are hairy. Tarantulas have stinging hairs. 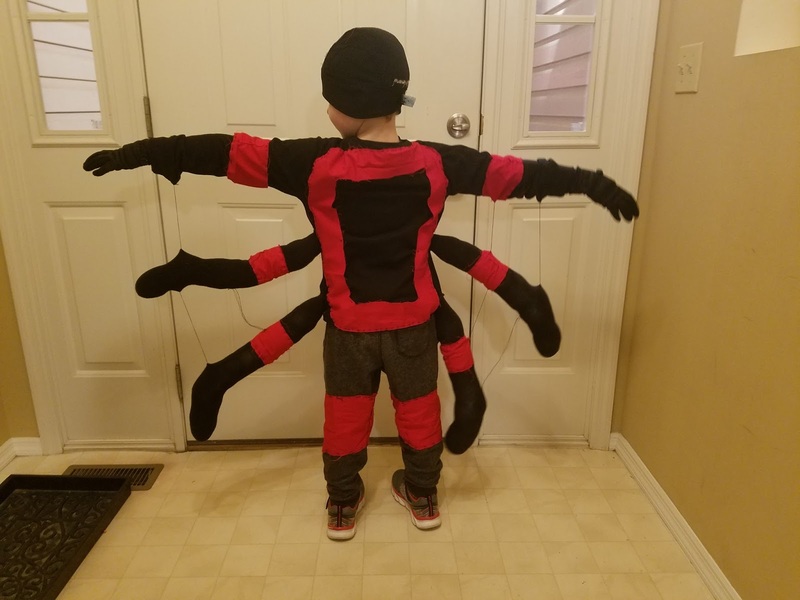 My mom is making my costume. I love bugs." 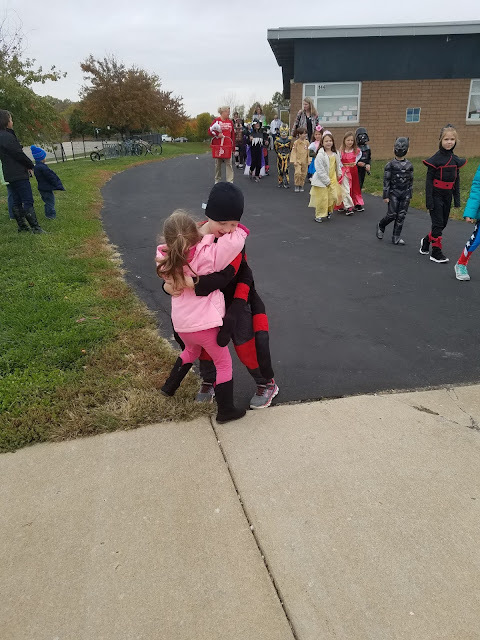 His school also had a costume parade and he was thrilled that we came to see him in it. 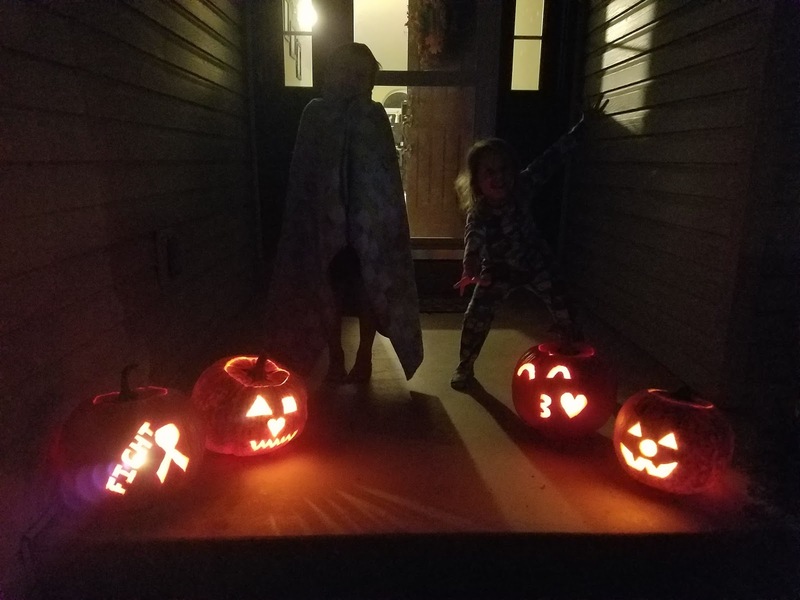 Two little pumpkins and our jack-o-lanterns.